Top Teachers Stuff Your Files with The Diary of a Not So Wimpy Teacher! I am so excited to welcome my friend, Kathie, from The Diary of a Not So Wimpy Teacher (don't you just LOVE the name?)!!! 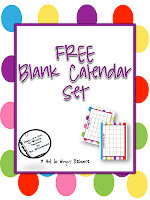 She is sharing some great resources to get you back in gear for back to school. Be sure to tell her what you like and plan to use by commenting on the post! I also use a variety of icebreakers during the first weeks of school (and also throughout the school year) to help create a peaceful classroom community. Here are three great icebreakers for you to use in your classroom! The last thing I would like to share is one of my number one downloaded items! 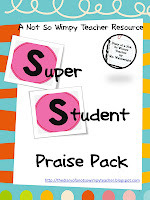 My Super Student Praise Pack is great for providing positive praise to your students. This helps to build positive self-esteem and a promotes a respectful environment. Feel free to download this item for free! 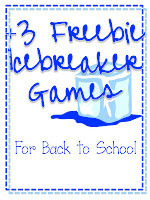 Thanks, Kathie - I downloaded the icebreakers; a girl can't have too many back-to-school activities! Wasn't that sweet of her? I am stocking up on back-to-school activities as well! I am ALWAYS overplanned for bts. :) So glad you enjoyed them! Thanks Kathie I downloaded your products and became a follower. Nice post! Awesome postcards! Thank you so very much!